On Monday, Ben Lively became the second Reading Fightins hurler in three weeks to be named as the Double-A Eastern League's Pitcher of the Week. 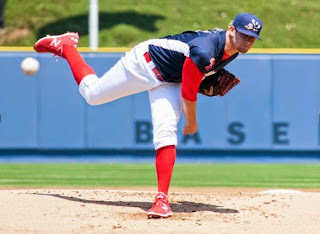 Lively, who was acquired last off-season from Cincinnati for Marlon Byrd, notched two wins along with a 2.08 ERA while striking out 16 and walking just two in 13 innings for the Fightins during the week of April 27th through May 3rd. The 23-year-old attributes his recent success to learning from his own mistakes. "I've just been working on some stuff," Lively explained. "I was all over the place my first few games, it felt like to me. I mean I did alright, but I expected to do better, so I worked harder and it paid off." According to Reading skipper Dusty Wathan, Lively is able to make improvements when and where others aren't able to, which has helped the Florida native make an impact. "The biggest thing was he went into the sixth inning (on Sunday) and that was his best inning, so it showed me that he can make adjustments as the game went on. And as the game went on, he got better, which is good to see because a lot of these young pitchers, they can't make adjustments in the game and, hopefully, those adjustments can come quicker- inning to inning, pitch to pitch," Wathan stated. Lively, originally a 4th round draft selection by the Reds in 2013, sports a four-pitch repertoire including a change up, a curve ball and a slider, but leans on his fastball, which mainly resides in the low-90's as his go-to offering in critical spots. "He's a tremendous athlete, a good competitor, he's got a fastball that kind of plays a little bit better than what the velocity says. I think guys don't see it well," said Wathan. 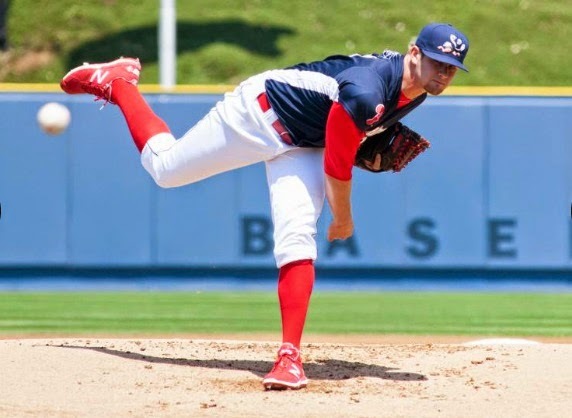 As part of a highly touted starting rotation for Reading, which includes righty Zach Eflin, 2010 top Phils draft choice Jesse Biddle, last year's first round draft selection Aaron Nola and lefty Tom Windle, Lively cites a competition among his fellow hurlers as a factor that could drive him all season long. "All five of us are fired up and we're competitors and we're competing among each other, pushing each other, and it's kind of cool to get noticed for it." Among his peers, consistency is the aspect of Lively's game that stands out, according to Wathan. "He throws a lot of strikes, Wathan stated, "I mean, if you can throw a lot of strikes you're going to have a good chance to win ball games and he throws strikes where he wants to." Previously getting the nod as EL Pitcher of the Week last month was the aforementioned Eflin, who tossed 14 scoreless innings in his first two starts of the season. Reading infielder Carlos Alonso will miss the remainder of the season with a ligament tear in his left knee. Carlos is the brother of recent Eagles acquisition Kiko Alonso. #TeamAaron...A grand slam by outfielder Aaron Altherr helped to lock in the third win of the season for right-hander Aaron Nola on Monday night as the Fightins defeated New Hampshire, 5-1.